Syntrillium Software was founded in the early 1990s by Robert Ellison and David Johnston, both former Microsoft employees. Originally developed by Syntrillium as Cool Edit, the program was distributed as crippleware for Windows computers. The full version was useful and flexible, particularly for its time. Syntrillium later released Cool Edit Pro, which added the capability to work with multiple tracks, as well as other features. Audio processing, however, was done in a destructive manner (at the time, most computers were not powerful enough in terms of processor performance and memory capacity to perform non-destructive operations in real time). Cool Edit Pro v2 added support for real-time non-destructive processing, and v2.1 added support for surround sound mixing and unlimited simultaneous tracks (up to the limit imposed by the actual computer hardware). Cool Edit also included plugins such as noise reduction and FFT equalization. Adobe purchased Cool Edit Pro from Syntrillium Software in May 2003 for $16.5 million as well as a large loop library called "Loopology". Adobe then changed the name of Cool Edit Pro to "Adobe Audition". Adobe Audition was released on 18 August 2003. It had bug fixes but no new features, and was essentially a more polished Cool Edit Pro 2.1 under a different name. Adobe then released Audition v1.5 in May 2004; major improvements over v1 included pitch correction, frequency space editing, a CD project view, basic video editing and integration with Adobe Premiere, as well as several other enhancements. Adobe Audition 2 was released on 17 January 2006. With this release, Audition (which the music recording industry had once seen as a value-oriented home studio application, although it has long been used for editing by radio stations) entered the professional Digital Audio Workstation market. The current version included two sections. Multitrack View supported up to 128 digital audio mono or stereo tracks at up to 32-bit resolution. In the Track Controls section one could select the input and output for each track (the program supported multiple multi-channel sound cards), select Record, Solo and Mute, and access the effects rack. New features included ASIO (Audio stream input output) support, VST (Virtual Studio Technology) support, new mastering tools (many provided by iZotope), and a redesigned UI. Adobe also included Audition 2.0 as part of its Adobe Production Studio bundle. Adobe Audition 3 was released on 8 November 2007. New features included VSTi (virtual instrument) support, enhanced spectral editing, a redesigned multi-track interface, new effects, and a collection of royalty-free loops. Audition 4, also known as Audition CS5.5, was released on April 11, 2011 as part of Adobe Creative Suite. 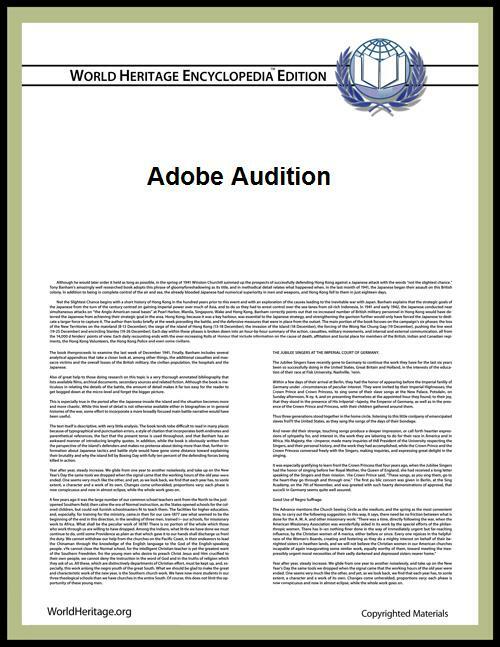 Audition 4 was shipped as part of the Adobe Creative Suite 5.5 Master Collection and Adobe Creative Suite 5.5 Production Premium, replacing the discontinued Adobe Soundbooth. Audition 4 was also made available as a standalone product. Enhanced integration with Adobe Premiere Pro allowed editing of multitrack Premiere projects, and users of third-party software were served by the introduction of OMF- and XML-based import/export functions. Other new features included improved 5.1 multichannel support, new effects (DeHummer, DeEsser, Speech Volume Leveler, and Surround Reverb), a History panel, faster and fully supported realtime FFT analysis and a new audio engine (more reliable and faster) for non-ASIO devices. According to Adobe, Audition CS5.5 was rewritten from the ground up to take advantage of parallel/batch processing for performance and make it a platform-agnostic product. Audition CS5.5 now works on Windows and Mac platforms. Over 15 years of C++ code was analyzed, and many, but not all, features of the previous Audition 3 were ported and/or enhanced. Notable features that were present in Audition 3, but removed for CS5.5 include VSTi support and MIDI sequencing. Unlike all the previous versions, this is the first version to be available as a Mac version as well as a Windows version. Adobe showed a sneak preview of Audition CS6 in March 2012 highlighting clip grouping and automatic speech alignment (which had its technology previewed in September 2011). Audition CS6 was released on April 23, 2012, as part of both Creative Suite 6 Master Collection and Creative Suite 6 Production Premium. It included faster and more precise editing, real-time clip stretching, automatic speech alignment, EUCON and Mackie control surface support, parameter automation, more powerful pitch correction, HD video playback, new effects; and more features. 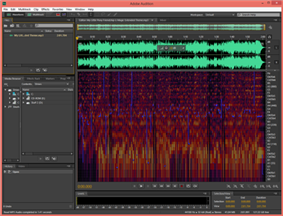 Adobe Audition 6, also more commonly known as Audition CC, was released on 17 June 2013. 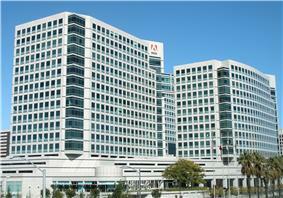 It is the first in the Audition line to be part of the Adobe Creative Cloud. Also, Audition CC is now the first 64-bit application in the Audition line. This can provide faster processing time when compared to Audition CS6. New features include sound remover, preview editor and pitch bender. Adobe Audition 7 was released on June 2014 with the name Adobe Audition CC 2014. Adobe Audition 8 was released on June 2015 with the name Adobe Audition CC 2015.